a generic pin on an integrated circuit whose behavior, including whether it is an input or output pin, can be controlled by the user at run time. GPIOx_AFRL[31:0] and GPIOx_AFRH[31:0] provide ways to select alternation functions. However, different alternate functions maps to different bits of ports. For more information, please refer to Table 12. Alternate function mapping from P.73 in STM32F429xx Datasheet. 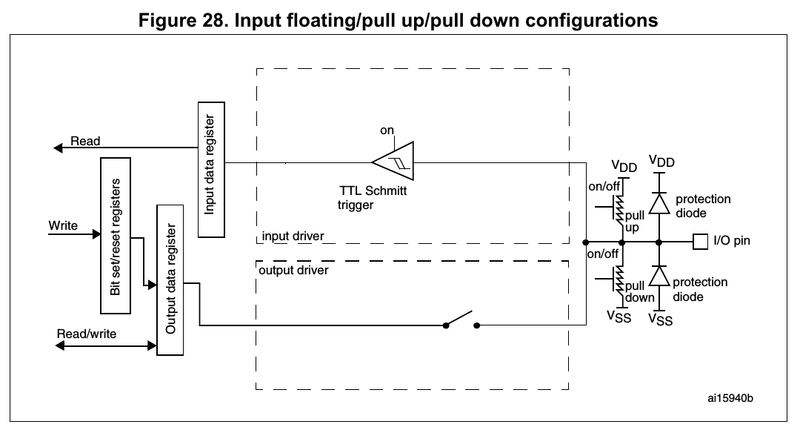 The Schmitt trigger input is deactivated, providing zero consumption for every analog value of the I/O pin. The output of the Schmitt trigger is forced to a constant value (0). In analog to digital and digital to analog conversion of signals, the sampling is normally assumed to be periodic with a fixed period—the time between every two samples is the same. 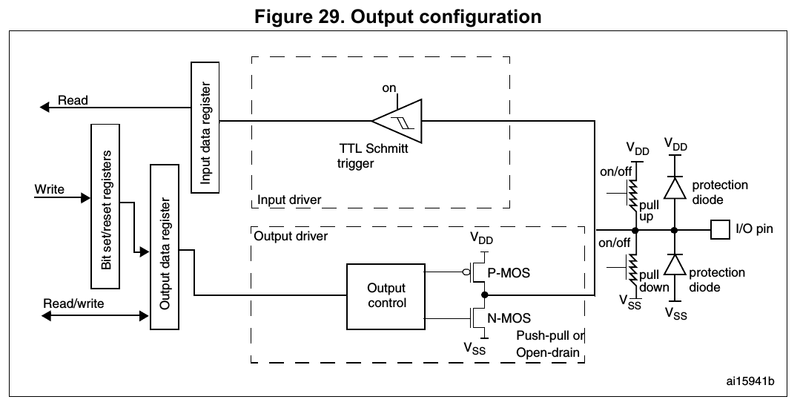 If there is jitter present on the clock signal to the analog-to-digital converter or a digital-to-analog converter, the time between samples varies and instantaneous signal error arises. Bits 31:16 Reserved, must be kept at reset value. Neighboring load and store single instructions can pipeline their address and data phases. This enables these instructions to complete in a single execution cycle.